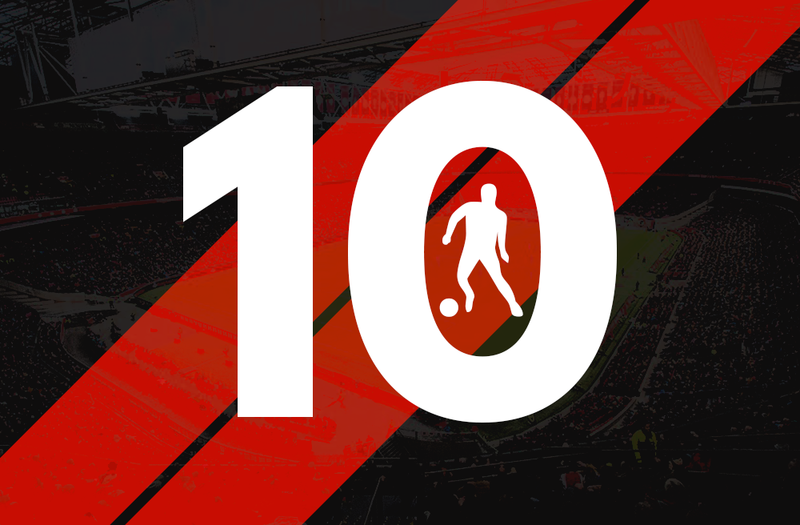 While this website has made it’s name focusing on the lesser known youth of this beautiful sport, and combined it with a tinge of tactical flavour meant for the football enthusiast, we found a large gap to be exploited in terms of combining the two. 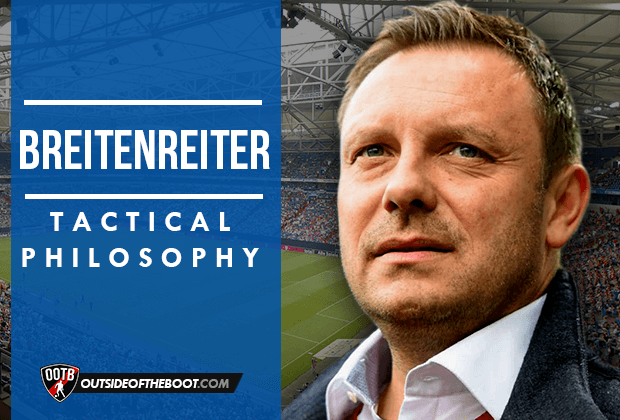 This mini-series thus focuses on young managers (below the age of 45) and their tactical philosophies, deriving what got them here and where they could go. 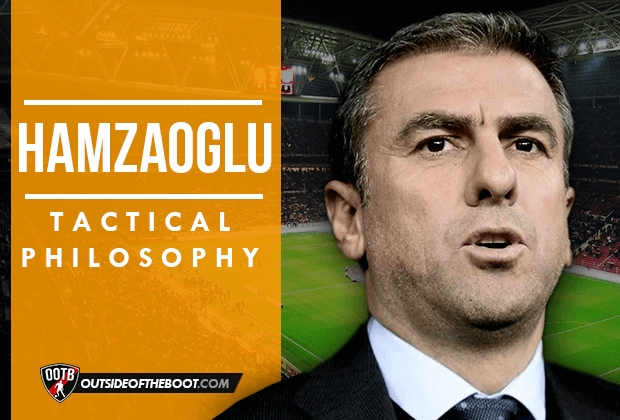 In this piece, Mert Conker takes a look at Galatasaray’s talented manager Hamza Hamzaoglu. Hamzaoğlu was born in in Greece but after spending 7 years on the west side of the Aegean sea, Hamzaoğlu had to move to Turkey with his family due to problems caused by the Cyprus dispute. The family moved to İzmir following a few traumatic weeks of uncertainty on the road and young Hamza managed to settle quickly in his new city. At the age of 14, he put together a team in his neighborhood and coached the team for local matches. This got him noticed by various local football men. Hamza Hamzaoğlu was always crazy about football, and he played for 8 different clubs including boyhood love Galatasaray. 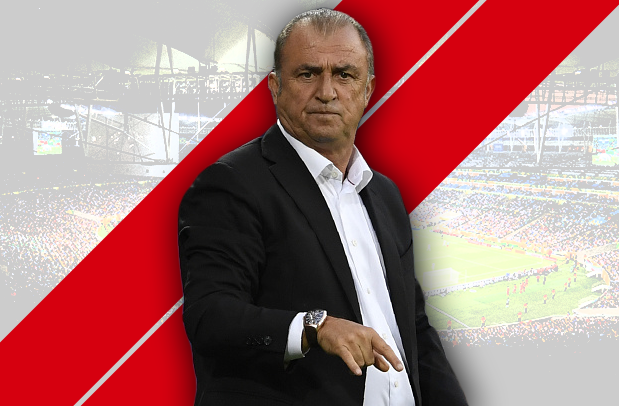 After spending some beneficial years as manager at low budget teams on the Asian side of Turkey, he got a breakthrough as part of Fatih Terim’s technical staff for the national team thanks to his fluent football mentality. In the mean time, Galatsaray were spending an unsuccessful period with Italian managers Mancini and Prandelli. Thanks to Galatasaray’s close relations with Terim, Hamza Hamzaoğlu was offered the Galatasaray job. This was the same day he lost his father. It was a time of mixed feelings for the improving young manager of the Turkish giants. Hamza Hamzaoğlu is a one system type of manager. He mostly prefers to use the 4-2-3-1 format. His signature team was Akhisar. As he took over in the middle of the season at Galatasaray, he still hasn’t been able to convert his system to suit the team. Akhisar’s most important quality was their transition game. Hamzaoğlu likes to have a vicious defense and its transition into attack tends to be positive. 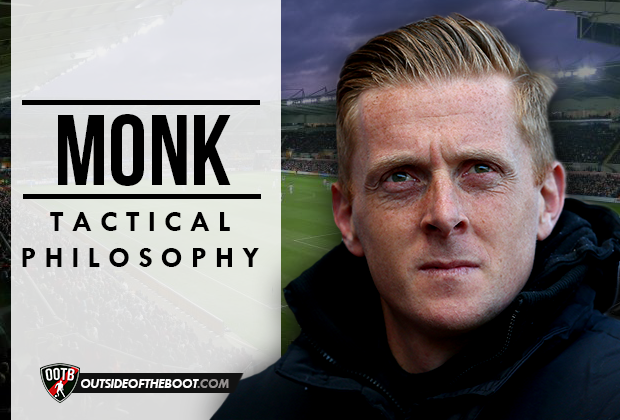 He uses fast and agile wingers in his team in order to cut inside & benefit from transition games and get results. Akhisar had always been a fluent side under Hamzaoğlu. They always played pass and move football in attack, mostly playing one touch football and creating empty spaces to help their quick front men benefit from spaces. In the visual above, you can see that Akhisar prefer to attack with at least 4 men. Four of them are always willing to play with one touch and move as soon as a pass which can create chaos in the opponent’s half is on. The idea was to distort the opponent’s team shape and create open spaces for fast players. On the other hand, attacking fluently with four men helps you to stay strong at the back. Akhisar’s biggest handicap was their weaknesses in transition from attack to defense. They often got caught unprotected at the back and it was almost impossible to stop the opponent from scoring goals. Hamza used to play a low tempo game at Akhisar. His style has changed a bit with Galatasaray because he has a better squad and more financial muscle. In the visual above we can see that Hamzaoğlu likes to send full backs to attack with overloads from midfielders. While they’re trying to get into position to cross the ball, the opposite winger looks to get into the box to benefit from any crosses. His teams always played with a low tempo and tried to score with quick and unexpected counters into the opponent’s half. The other important detail on his football mentality is that he prefers to attack from the wings to break the balance of the opponent. He uses wingers who are likely to cut inside and get into box to score or provide an assist to a striker. Sneijder compares his style to Jose Mourinho’s and says that their attitude on the training pitch is extremely similar. As mentioned earlier, Hamzaoğlu took charge of the team in the middle of the season. Therefore we haven’t seen his team yet. 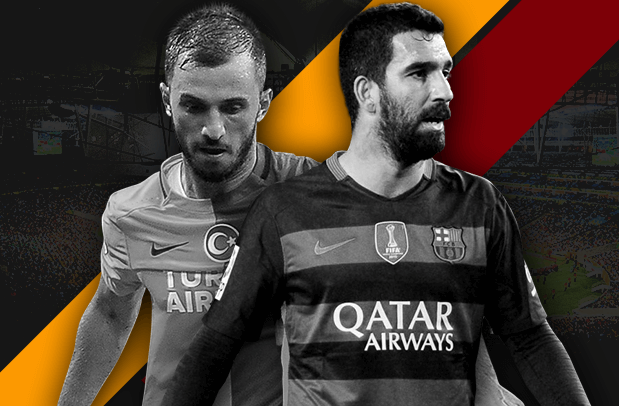 Up until now, Galatasaray haven’t played as fluently, or been as balanced as Akhisar. Their balance between defense and attack was decent but attacking movements were a bit problematic due to the sudden change of style. With Mancini and Prandelli, Galatasaray played their worst football in the last decade but Hamza is trying a completely different style. Unsurprisingly, the players have been unable to adapt fast. His mentality with Galatasaray is almost same as with Akhisar. He wants to defend shrewdly and break fast when they get the ball. On the other hand, he wants to have most of the possession to get the best out of players like Sneijder and Burak Yılmaz. He wants to use full backs as an attacking threat with Sneijder up front in a free role. Hamzaoğlu prefers wingers to get into the box to overload and support the lone striker Burak. 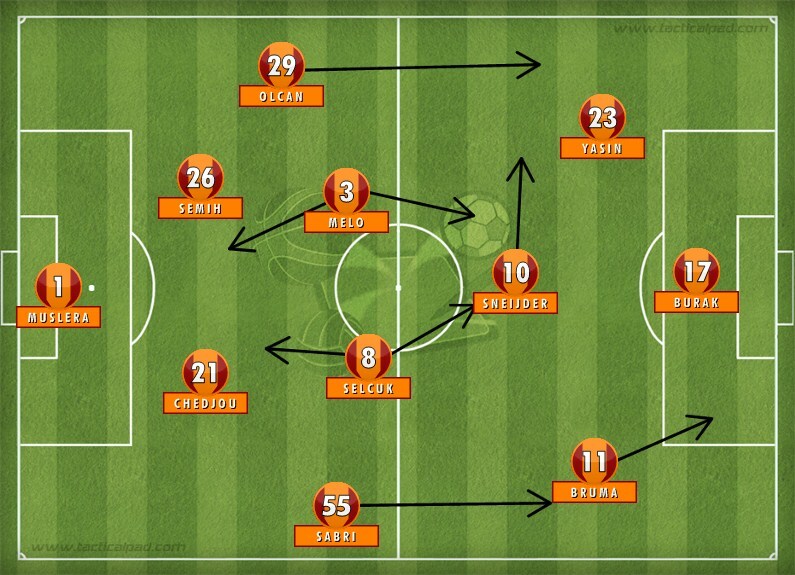 Wingers overloading the middle is an important phase of Galatasaray’s defense as well. Hamzaoğlu wants to press the first ball and outnumber the opponent in the middle to prevent them from building a game from the back easily. It’s probably wrong to judge Hamzaoğlu on his first season, and despite the huge local success, we shouldn’t get carried away in order to avoid future failure. Hamzaoğlu tried to play with his style but he didn’t have the type of players he needed. Sometimes he had to play Umut Bulut as winger and it ended up as a huge disappointment. Galatasaray have signed Podolski and he’ll have an important role to play in this Galataaray side. As soon as Hamzaoğlu settles the defensive organization and attacking movements we will be able to watch a very different Cimbom. At this point, one couldn’t say much about his philosophy because it was a transition season. Next year though, we will watch a team with better and more solid defensive organization and more fluent attacking variations. It is quite certain that he will stick with the 4-2-3-1 formation but he can add a few new innovations to his style, especially with the addition of Podolski and possibly a striker. Hamzaoğlu’s general performance against top tier teams in Turkey has been the most impressive aspect of his career. In 2013-14, he played Fenerbahçe, Beşiktaş, Galatasaray and Trabzonspor 8 times and only lost twice. This excellent performance received huge attention from media and he became popular. In the mean time, he was also assistant manager to Fatih term in the national team. Thus, his popularity grew around the country. As Hamza Hamzaoğlu took charge in the middle of the season, the Galatasaray board had high expectations from him. Losing the championship could have cost him his job. The Beşiktaş game was crucial for him to secure the title and to put the 4th star on the Galatasaray armband. The game was poor but Yasin and other players created chances individually to get the needed three points. Securing title meant so much, and so, this game became one of the most important of his Galatasaray career. A match against Orduspor in 2012 – 13 was also extremely crucial. Akhisar’s position was uncertain and their league position was hanging by a thread. Clearly, it was a must win game in order to avoid relegation against the already relegated Orduspor. Akhisar won with a clean sheet while Mezenga scored twice to secure the victory and keep his team in the league. Aside from the result as well, the Akhisar board was always loyal to Hamza Hamzaoğlu. They were the team with the lowest budget team in the league and the manager refused to sign players with gigantic salaries to protect the clubs financial stability. But relegation could have changed the situation and Hamza Hamzaoğlu would probably not have hesitated to resign. Last season was the most important for his career. It was a battle for the fourth star between Fenerbahçe and Galatasaray and this made it so special for both clubs, fans and players. Therefore, winning matches with last minute goals was key during the season. The Gaziantespor and Torku Konyaspor matches were immensely important, and Galatasaray won both the games with late goals and those victories kept them in the battle. Correspondingly, the results had a direct effect on Hamza Hamzaoğlu’s career. Galatasaray’s new singing Bilal Kısa is one of the players who has benefited the most from Hamza Hamzaoğlu. Bilal used to play for average teams in Turkey and the duo have met at Akhisar. Hamazaoğlu managed to get the best out of the veteran player now known as the ‘Turkish Pirlo’. Bilal built a reputation with his decent technique and now, he has joined Cimbom on a two year deal and it looks like the 32 year old will finish his career at Istanbul. Hamzaoğlu’s Akhisar years had been the best for Oumar Niasse. 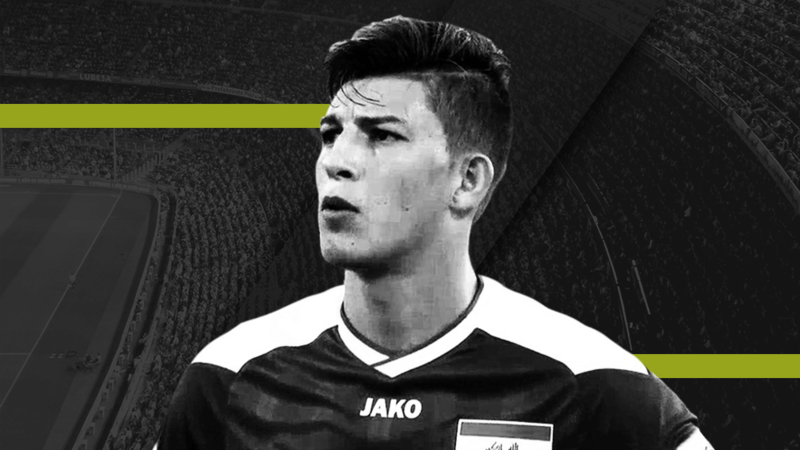 After signing for just 250K for Akhisar, he played in 34 games and scored 12 goals while giving 6 assists. Oumar Niasse moved to Lokomotiv Moskova for a fee around €4M which was huge transfer success for a local club like Akhisar. After a season, he has been heavily linked to Galatasaray in the last few weeks. Turkish media expect him to sign a loan deal with Gala in coming days. Theofanis Gekas has played in the Bundesliga long before he met Hamza Hamzaoğlu but he was on his way to retirement until Hamzaoğlu signed him and stimulated the Greek international to make a great impact on the Turkish league. Hamzaoğlu is an improving manager but needs to improve certain aspects and transfers is definitely one of them. Generally, he is an improving manager for Turkish football and if he can make the right choices, he can go abroad soon to represent the country. 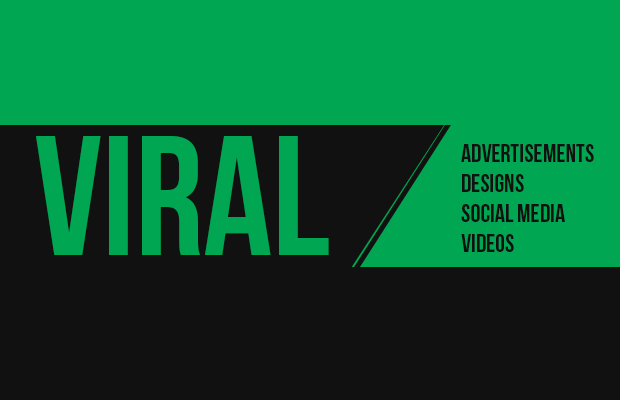 Merk Conker is an author at Outside of the Boot as well as a contributor to Turkish websitewww.yarisaha.com. He is a huge fan of English football, specially Liverpool.